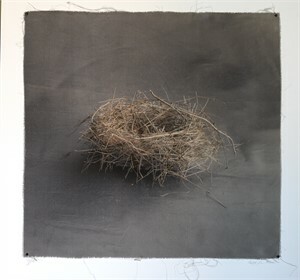 Brickworks Gallery is proud to present Nests, a solo show of photographic works by artist Kate Breakey. 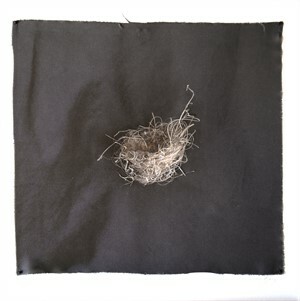 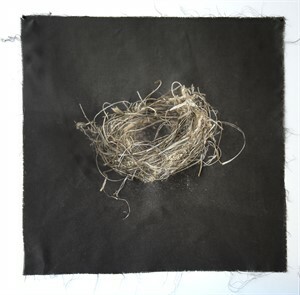 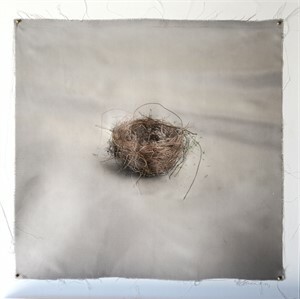 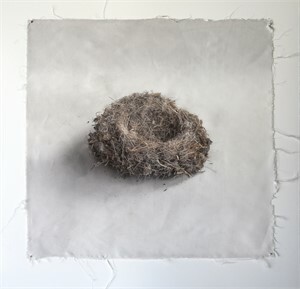 This selection of works from her Race Memory series documents the subtle differences in organic forms of birds nests. 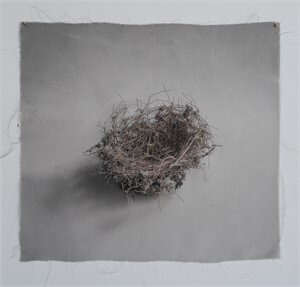 Brickworks Gallery is proud to present Nests, a solo show of photographic works by artist Kate Breakey. 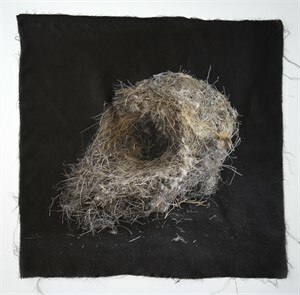 This selection of works from her Race Memory series documents the subtle differences in organic forms of birds nests. 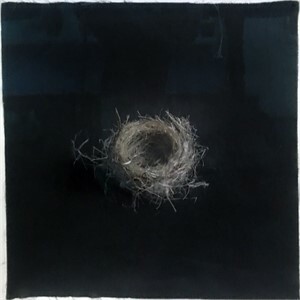 “A bird makes hundreds of trips to collect the materials to build a nest, which it then weaves and glues together with spider-web, caterpillar silk, and saliva. 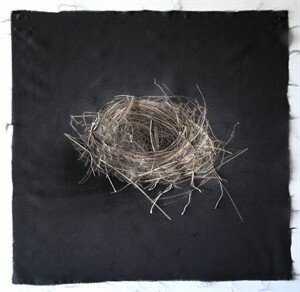 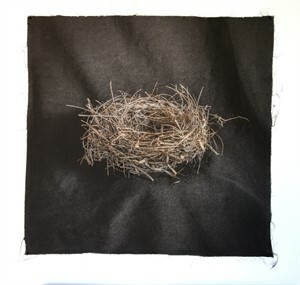 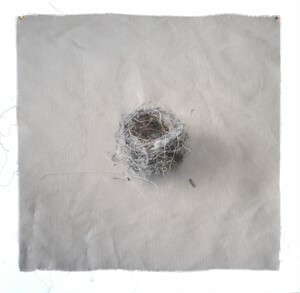 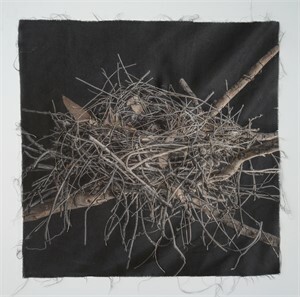 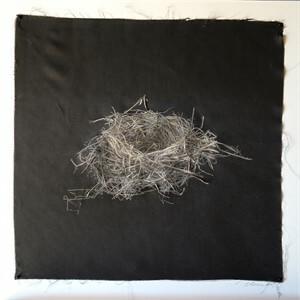 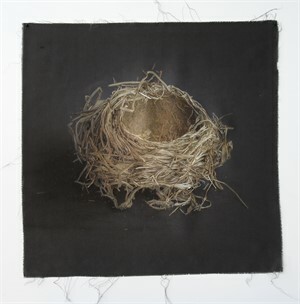 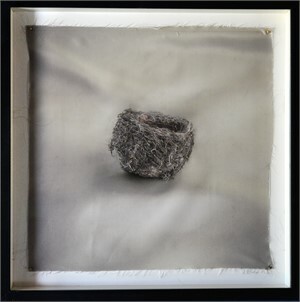 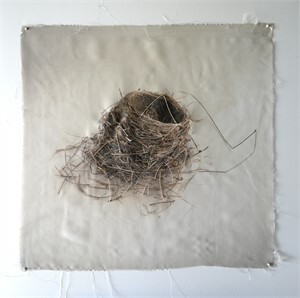 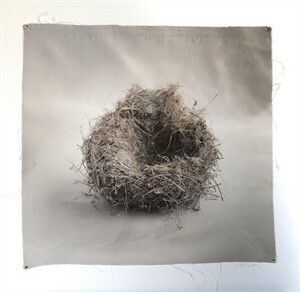 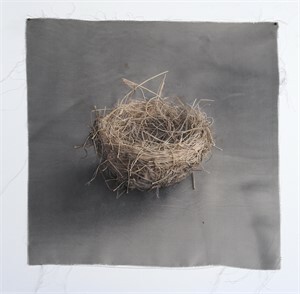 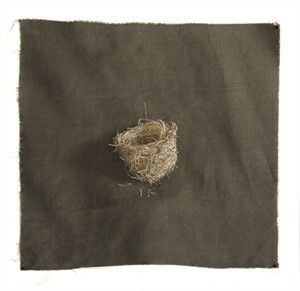 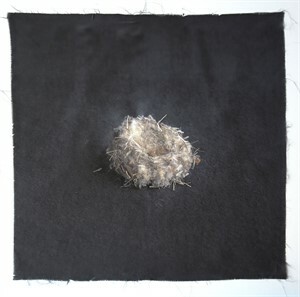 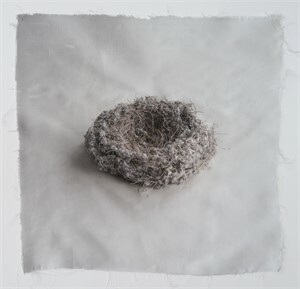 Each species does this instinctively because of ‘genetic’ or race memory–abilities and responses incorporated into its genetic code as the result of the common experience of its ancestors.” –Kate Breakey Breakey’s Nests are a collection of austere images of elegant, intricate little objects then printed on silk and hand-colored with pencil. 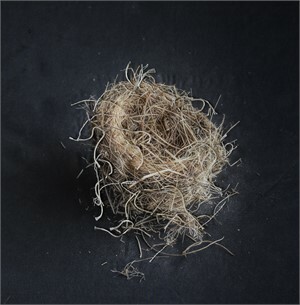 She has photographed nests for many years and on several continents, as part of a lifetime of fascination with the mysteries and wonders of the natural worlds.